Harajuku girls in chic streetwear styles with resale furry animal print coats and layered fashion styles while out and about on the street. Female boxer in white crop top and frilled jeans while out and about in Harajuku. Colorful fun street style in Harajuku with a plaid kimono and Betty Boop obi, floral platform shoes, and Moschino french fries purse. 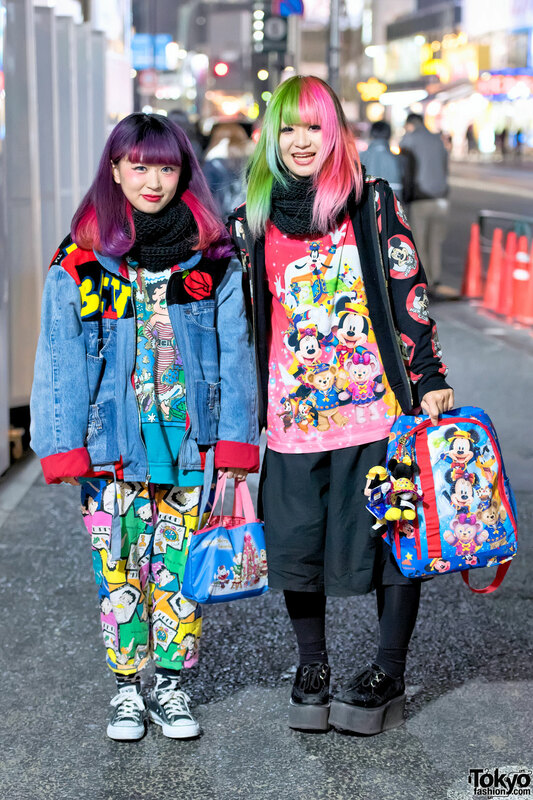 Harajuku girls with colorful hair and kawaii fashion featuring Betty Boop, Mickey Mouse, and Disneyland prints. Dog Harajuku staffer wearing a painted Betty Boop t-shirt with wide leg pants, a choker, and denim hat. 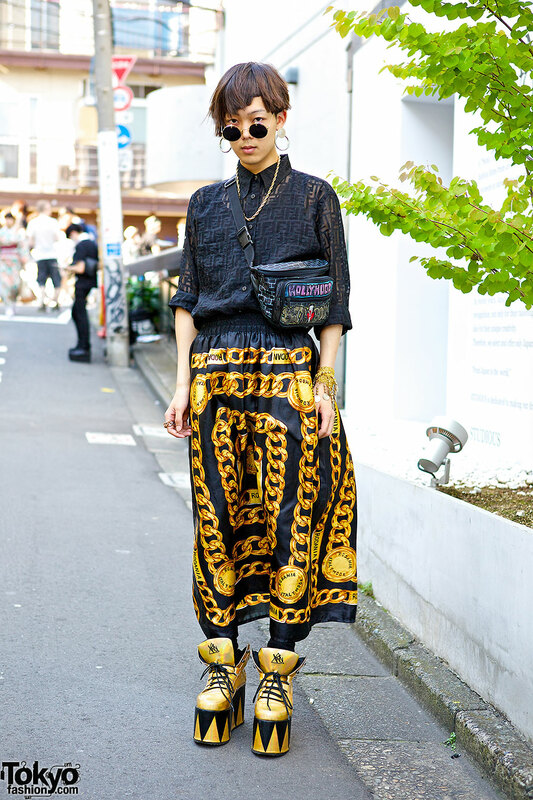 Harajuku guy with round sunglasses, logo print shirt, maxi skirt, shoulder bag, gold flatforms and gold jewelry. Twin buns with shaved sides, teddy bear print shorts & silver sneakers vs. comics tank, patchwork maxi & cartoon accessories in Harajuku.